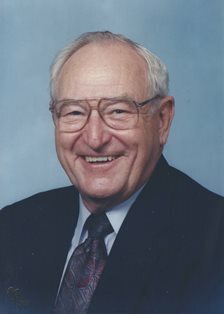 ALFRED E. SHIDLER, age 95, passed away the morning of Monday, April 8, 2019 in Ft. Worth, Texas. He was born January 2, 1924 in Clay County, Indiana to Clyde and Irene Shidler, the seventh of eleven siblings. A highly decorated veteran of WWII, he served in the U.S. Army 11th Airborne Division, 188th Glider Infantry Regiment. He fought on New Guinea, Luzon and Manila in the Philippines, and participated in the raid at Los Baños prison camp which succeeded in freeing more than 2,000 civilians. He was sent to Japan on August 30, 1945 as part of the U.S. occupational force. On June 1, 1947 he married Norma Sandberg from Terre Haute, Indiana and they subsequently moved to Evansville where they lived, worked and raised a family together until Norma’s death in September 1982. Al moved to Fort Worth, Texas in January 2011 where he made friends, enjoyed the weather, and became a fan of the Texas Rangers. He was known for always having a joke ready for any who needed cheering. He is survived by two sisters, Ann Stevens of Coalmont, Indiana, and Gladys Wright of Paris, Illinois, his daughter and son-in-law, Becky and Andy Clark of Fort Branch, Indiana, son and daughter-in-law, Phil and Joanne Shidler of Olive Branch, Mississippi, and son and daughter-in-law, Jim and D’Ann Shidler of Millsap, Texas. He was also blessed with seven grandchildren and six great grandchildren. He knew the Lord, cherished his family, was a good friend to many and will be greatly missed. Services will be held at the Cox Funeral Home, 218 S. Meridian St, Jasonville, IN Friday, April 12 with a gathering of friends beginning at 2:00 and memorial service at 3:00.